As Mars Science Laboratory looks around its landing spot in Gale Crater, what does it see? This! You need to click on the image to see it in magnificent high resolution! Just looking at it you can see that the terrain looks very similar to something you might see in the southwestern United States. This mosaic combines 79 different images taken by MSL's Mastcam since the rover's arrival on Mars. The black overlays you see are areas that were unable to be processed or which were lost during transmission back to Earth. What can we see of note in this image? 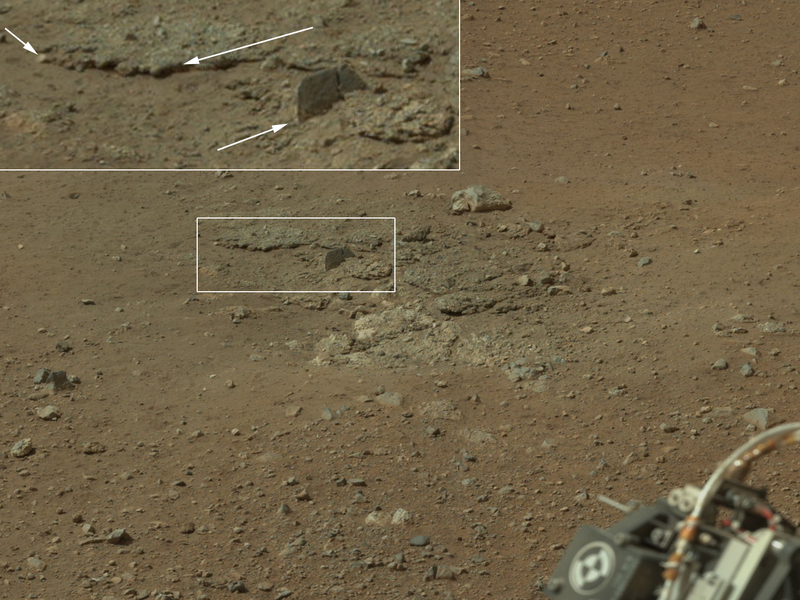 We can see the area excavated by the blast of MSL's descent stage engines. Of most interest to scientists is the uppermost layer of fine material embedded with rock fragments. The characteristics of the exposed sediments will tell scientists a lot about the conditions under which they formed and will give them a greater understanding of the past Martian environment. In the mosaic you can also see the rim of Gale Crater about 18 km north of MSL. There you can see where a network of valleys are thought to have entered into Gale Crater in the distant past. This is actually the first time that a river system has been imaged from the surface of Mars! MSL will not be investigating this particular fluvial system because it's main target, Mount Sharp, is to the south, but the images it provides from this distance are still the most detailed images we have and will tell us a lot about Martian river systems! 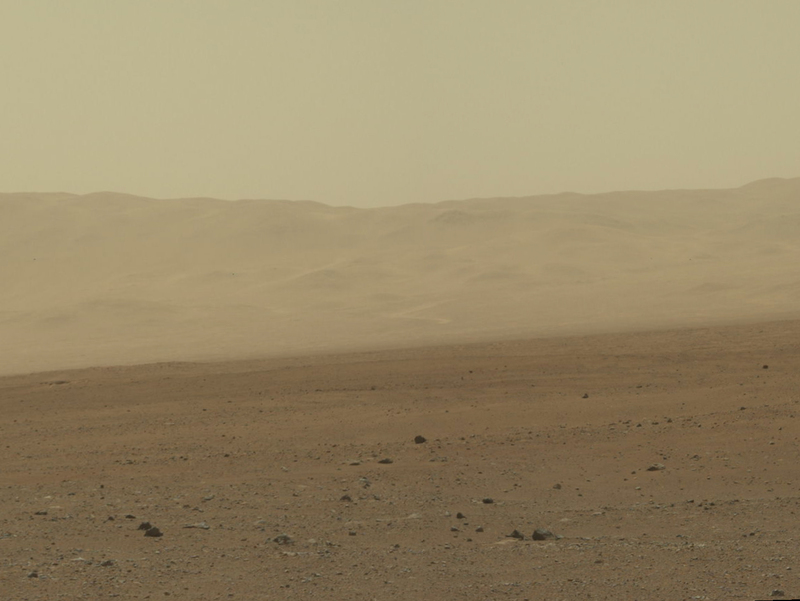 In the days and weeks to come there will be much more to discover about Gale Crater! Keep checking back for the latest and greatest!